Summer is coming to a close so it’s time to get a leg up on your fall home maintenance checklist. It’s always easier to get these tasks done when the days are long and the weather is warm. Here are 5 things to remember to do for your home during autumn. Homeowners often have a seemingly endless checklist of home repairs. As fall arrives, you’ll want to make sure some of the most important items on that list are completed prior to the cooler weather. Keep reading to learn the top five things you need to cross off your maintenance checklist before the end of fall. Cut your trees and shrubs now to prevent any damage from dead or dangerous tree limbs falling during winter storms. Consult with an arborist regarding the health of your trees. Taking care of your landscaping now will ensure everything is well prepared for new growth in the spring. Gutters should be cleaned before fall arrives. If gutters are clogged, the water from rain and melted snow can cause damage to your home. 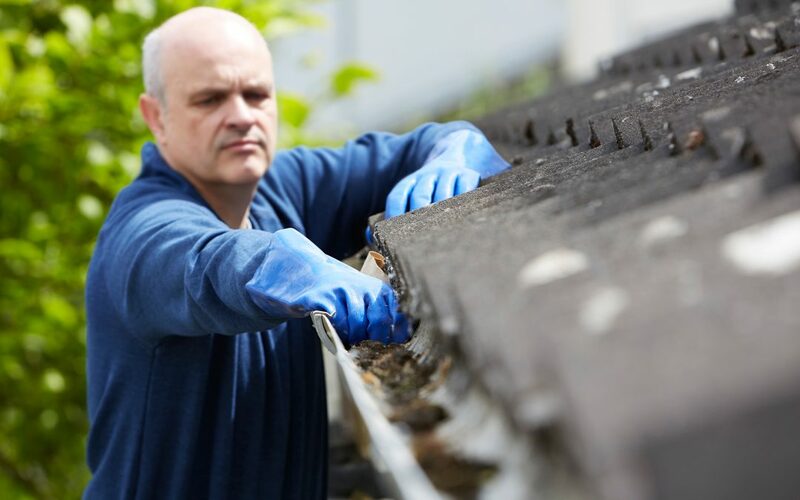 Inspect your gutters regularly and clean debris from them as needed to protect your roof, siding, and foundation from water damage. Any repairs to your home should be made in later summer or early fall so you’re not dealing with problems in cold, inclement weather. Look at the foundation, siding, and roof for any obvious signs of damage. Take care of the repairs now before winter weather sets in. Any gaps around doors, windows, and floors let cold air into your home and allow warm air to escape. Use caulking to seal small holes and gaps. Replacing weather stripping around doors and windows may also be beneficial. If you can keep your home sealed tight, your home will stay comfortable and you’ll spend less on your heating bill. Pipes are prone to freezing when the temperature drops which can be a big nuisance. Make sure your pipes are insulated to prevent this from happening. You can wrap them with foam tubes to reduce the chances of your pipes freezing. Don’t let fall arrive at your house unprepared. Follow these five tips to make sure you are able to cross these tasks off your fall home maintenance checklist.